As I've been teaching French numbers to these 4th and 5th grade students, they've asked about how to say the year. The 2000s are much easier to say than any of the centuries from 1100s-1900s because you simply say two thousand whatever. For the others, you have to say one thousand, then the hundred, then the rest. So it would be like one thousand, nine hundred seventy four. After we did 2013 well, I started asking when they were born. 2002-2005 seems to be the range. So, I tell them how lucky they are that they can just say 2000 and then the number because it's so simple. Because, since I was born in the 1900s, my birth year is much harder. 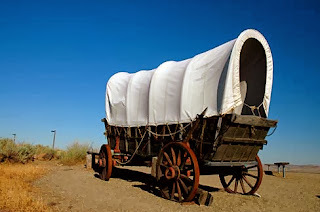 And then I cry a little because when I say "I was born in the 1900s" I feel like I rode in Conestoga wagons. Or it sounds like I might have been around the year that Ford debuted the Model T.
Or maybe the day that Lindbergh did his flight. Or maybe I saw the end of WW2. Or saw someone walk on the moon. Ok, I guess I could have known Elvis. But none of the others could have happened for me. This point was hammered home even further when I had 2 assistants in my room and I said "WE were all born in the 1900s, but YOU ALL were born in the 2000s" and then I realized that one of them is my age and the other is a former student and STILL we were all born in the same century. A completely different century than these kids. So, to really blow their minds, I say "and now, I'm going to give you MY birth year. Are you ready to do some math and have your minds blown?" Never do kids figure something out as quickly as when they think they are doing something daring like figure out your age. First, they say crazy things like "1914!" and "1934" because they are sort of getting the idea of the numbers. "Do I look like I'm 99 years old???" This makes them laugh. That's why I like them. MIddle schoolers don't laugh at that. They say things like "well, kind of". Then they think about it and someone yells out "1964!" and I yell out "HELL NO, GO SIT IN THE CORNER YOU EVIL CHILD!" Then someone gets it and then they have to pipe up with "hey, my MOM was born in 1974 too!!" And I brace myself for "and she doesn't look anywhere near as old as you" or some kind of gem, but so far, they're behaving. As long as they're not saying "hey my GRANDMOTHER was born in 1974 too!" I was born in 75 and used to teach as well. My first class of Kindergarteners are in college now! It is crazy what a huge difference time makes. i enjoyed reading your post. I hope you have a great weekend. Thanks also for stopping by my blog. The other day at work I was assisting a grandmother with getting diapers for her grandchild. I took down her date of birth for our records... one year younger than me. 1977. WHAT?